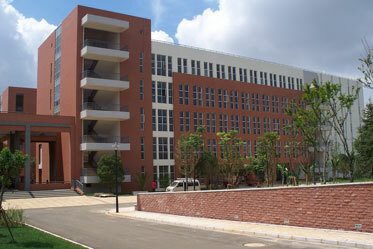 This composite shot shows the new front gate, flanked by administrative offices. You can see mountains on the far left. 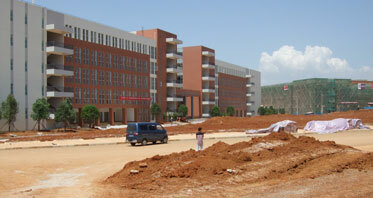 This is really four photos, which illustrates how huge the campus is! My office was in the shortest building here (third/top floor of the Foreign Languages Department). The white building is the library. Many of the teachers have "purchased" apartments (condos) in the complex that is rising behind the campus (hopefully to be done in 2010). 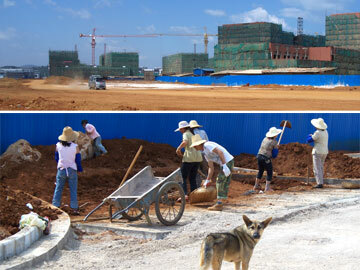 ["Purchased" is not exactly accurate; China's government owns all the land, but "rents" it to developers, who "sell" housing units on the leased land for 50-90 years. Even the university is also on leased land.] Grad dorms are out of the photo on the left; undergrad dorms (like the one I'm standing in) are out of the photo to the right, as are most of the the classroom buildings. 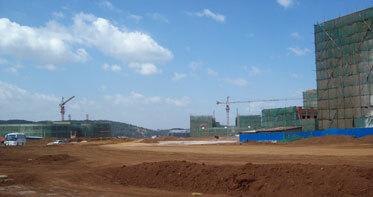 I think the building rising in the foreground is an auditorium or sports facility. While a number of buildings have elevators, many don't (like my office building, and the six-floor dorm I slept in on Monday nights; teachers can book a free room on the sixth floor for one night). Unlike buildings and campuses in America, Chinese developers do not have to make things accessible to handicapped people. Just dragging a suitcase around this campus can be a challenge, so I feel for those who use a wheelchair. In truth, I rarely see wheelchairs in China, though I occasionally see students temporarily on crutches trying to hobble up the stairs. The following essay talks about some of the positive changes. It was written by Megan, one of my 2009 grad students. In the past seven years, new multi-media devices and modern lab equipment have helped Kunming Medical University's teachers meet students' needs. Each classroom has been equipped with multi-media devices and more teachers have started to skillfully use them. Compared with the traditional teaching methods such as using chalk and blackboards, pictures, vivid flashes and videos add depth and interest to the knowledge being presented. Multi-media devices have also offered an easier and more convenient way for students to master difficult medical knowledge. In addition, lab equipment has been replaced or added. 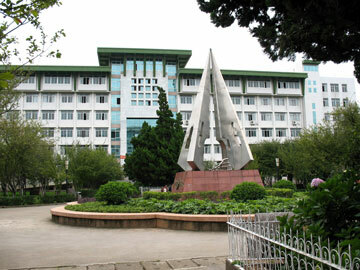 Especially in some critical laboratories (such as Cell Biology, Anatomy and Phamacology), students now enjoy the best learning resources and experimental conditions in Yunnan Province. New multi-media facilities and updated lab apparatus have both improved students' professional skills and helped them become better prepared for the competitive job market. I saw this view from one of my classrooms. All over China you can see the nation's red flag with yellow stars, flying proudly in front of construction sites and building cranes. This photo is also from May 2008. Our next visit was May 2009; most of the buildings looked "done," but they had just started bringing in the trees and other greenery. 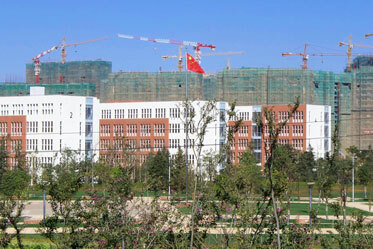 The campus opened in August 2009. This building (same as above right) is where my grad classes met. I had 125 students in this room on Monday mornings, and then they saw me again in groups of 25 on Monday or Tuesday. It was a great way to teach (for I had everyone "four hours" each week). 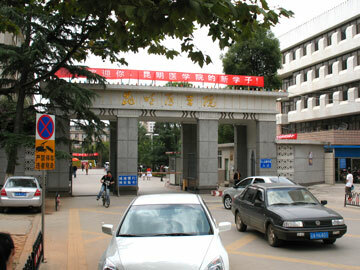 Here are a few photos of the old Kunming Medical University campus (in Kunming). Most graduate students study here after their first year, and some undergrad juniors and seniors also study here. 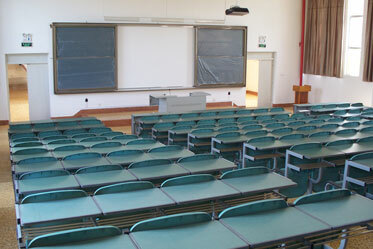 My post-graduate student classes all met in lecture halls in the South Classroom Building. This was the library, just inside the front gate. It is now closed because they have moved all the resources to Cheng Gong. 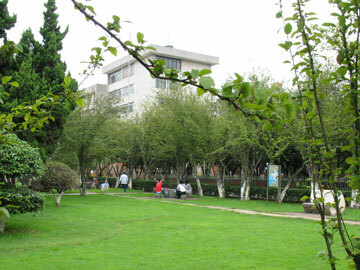 The center of campus features a large park, with stools and tables under the trees for students and retired staff (many live on the campus) to congregate around. You can also often find a group crowded around a Chinese chess game. Here is the main gate. It took about 20 minutes for me to walk home, and about 15 minutes to ride a bus (longer if I had to wait 15 minutes for the right one!). So, unless it was raining or I was carrying heavy things, I normally just walked. 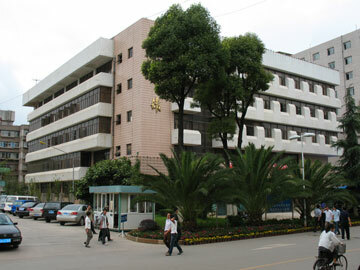 The Foreign Languages Department was on the fifth floor of this building. I shared an office up there with Chinese colleagues (on the new campus, the three foreign teachers had a shared office). 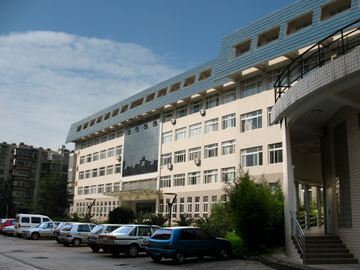 In the spring, I had undergraduate classes in this building too (now they are in Cheng Gong). 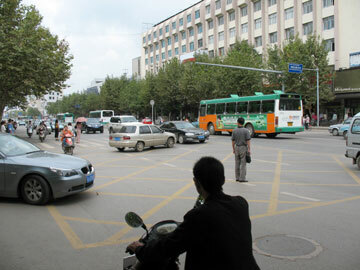 This is busy Renmin Road, just outside the front gate. Notice that bikes, people and cars are going in about eight directions at once. The most surprising thing about this photo is that such things no longer surprise me like they did when we first moved to China! More Photos: Click here for photos of my current students (or here for class materials). Click here for photos of former students in Xi'an, Kunming, or Shanghai.  Student Essays: Click here and here to see student essays from my KMU students, or here for the work of former students about NPU, Chinese holidays, and more.